With all your regular network shows making a comeback, you’re settling in to your fall TV routine — but something’s different. Something’s missing. You keep turning the channel to ABC, only you can’t remember why. Then you realize, and a sinking feeling hits you: You’re looking for Trophy Wife, only it’s not coming back. (R.I.P. Trophy Wife.) Instead, you have to look for surrogate TV shows to fill the Trophy Wife –shaped hole in your heart. 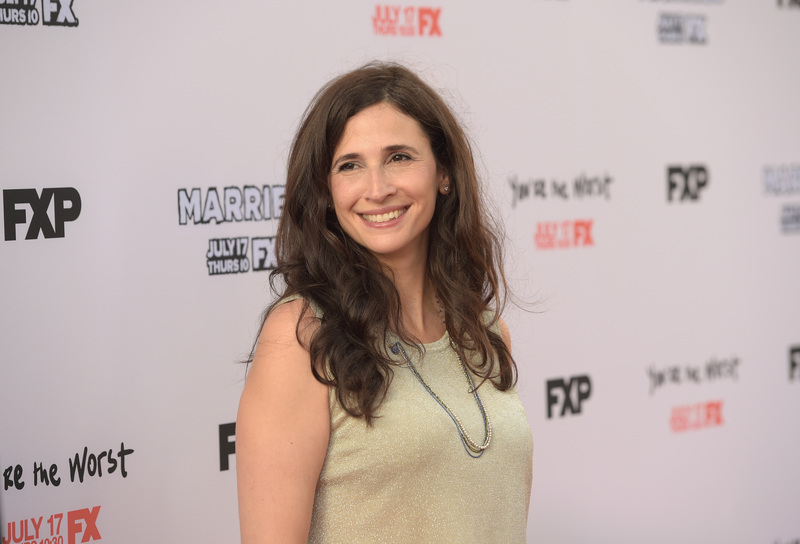 This week, you’re in luck, since Michaela Watkins will be guest-starring on New Girl . On Trophy Wife, Watkins played Jackie, Pete’s second wife and hippie/free spirit. When the show first started, Jackie’s greatest character trait was that she was the mother of Bert, the scene-stealingest of all scene-stealing TV kids. But, as the show progressed, she really came into her own as a character and her relationship with Kate (Malin Akerman) was both funny and surprisingly complex. Also, her zany business ideas were one of the highlights of the show. Watkins’ character on New Girl is also somewhat business-related, the opposite of someone who created “Foxed Lunch,” the company that makes organic snacks that are shaped like animals. She’s already appeared on the show as Gina, one of Schmidt’s bosses — a tough, domineering, unpleasant boss. If that’s not enough of a Watkins fix, here’s what else she has in the works. Unfortunately, she’s not going to star in her next project. Instead, she’s executive producing Benched , a comedy that will premiere on USA on Oct. 28. The show stars Eliza Coupe, from the also-canceled-before-its-time Happy Endings; she plays a high-powered lawyer who tumbles from her big firm and has to slum it with the public defenders. What’s better than seeing Watkins pop up on Transparent? The fact that she shares a scene with Bradley Whitford. It’s like a little Trophy Wife reunion (even if the excellent Transparent is nothing at all like Trophy Wife). Watkins is not a regular star on the series; look for her in the eighth episode, titled “Best New Girl.” Her character is described as “a very accepting woman” by the episode description, which sounds like Jackie. James Franco’s Saturday Night, a documentary about Saturday Night Live, was unexpectedly released to Hulu Plus in time for SNL’s 40th season premiere. It’s surprising because he filmed it way back in 2008, and the cast has had huge turnover since then. It also happened to be filmed the one year that Watkins was on the show. Saturday Night does give a few glimpses of her, even if, as Rolling Stone says, they, and all of the behind-the-scenes footage of the ladies on the show, are too brief. If you’re hoping that Saturday Night will get Watkins to reprise her Angie Tempura character when she visits New Girl, well, you’ll probably have to wait. Be happy for the semi-Trophy Wife reunion on Transparent instead.